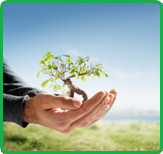 Emvelo utilises a holistic approach which supports a natural balance in the environment. Emvelo is about balance, about the macro-cosm reflecting the micro-cosm. That is why Emvelo has many beneficial spin-offs across the broad spectrum of our endeavours. We are all concerned about the use of non organic or non natural products and the possible impact on the environment of these or any by products. There are no GM or artificial ingredients used within the full range of Emvelo Products. Where possible we source our ingredients to be organic in origin or are certified organic. Emvelo maintains good health and well being. The living environment is balanced by using Emvelo Spray+, Stable+ and Protect+ which assists in the control of bad odours, flies and germs. Less germs, sweeter smelling environment provides a healthier and less stress induced environment for your animals to inhabit. The benefits of Emvelo spread even further afield helping to protect the global environment as the good guys (beneficial bacteria) spread throughout the land. Emvelo is about providing you with a natural alternative without comprising our planet! Emvelo gives our environment what is needed most.